(ii) Five year law degree course. 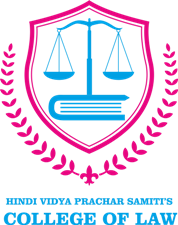 Each of these courses is independent of the other and is in accordance with the rules laid down by the University of Mumbai and the Bar Council of India. Each course has its own admission criteria. Any Candidate who has completed graduation in any stream from University of Mumbai or an equivalent degree from any other University can seek admission for the 3 years LL.B. course. The exams are conducted in a 2 semester per year pattern. On completion of the three year course, i.e., after the 6th semester, the LL.B. degree is awarded. Students who desire to study the law, but do not wish to practice as advocates are eligible for the LL.B. (General) Degree, at the end of the 2nd year i.e. after the 4th semester. The B.L.S. / LL. B. is an integrated 5 years course which can be pursued by any candidate who has completed 12th standard examination from any recognized Board across India. The exams are conducted in a 2 semester per year pattern. The first and the second year of the five year course, i.e. 1st to 4th semester, is a ‘Pre- Law’ course. The students of the five year degree program are awarded the B.L.S. (Bachelor of Legal Science) degree at the end of the third year, (i.e. 6th semester) and on completion of five years, (10th semester) the LL.B. degree is conferred.